Vajpayee was reared in the RSS school, attending officers’ training courses from 1940 and qualifying as a full-time pracharak the year India became independent. But he was seldom seen as an activist pracharak preaching the prescribed gospel. He looked more like a dreamer, reaching out to people in ways that went beyond his training. Although he is on record as saying “The Sangh is my soul”, sensibilities of a larger mission seemed to be working within him. Above the pracharak and the politician was the poet. His spirit roamed free. It started sending early signals in the middle of Vajpayee’s term in office. His stature had grown as he progressed from frustrated short terms to a full term as prime minister beginning 1998. The Pokhran atomic explosion that year and the Kargil War the following year put garlands of glamour round his neck. He asserted his personal supremacy over his party hardliners when he took a bus to Lahore in 1999. His initiatives for peace provoked a Vishwa Hindu Parishad secretary to call him a “pseudo Hindu”. The ultra Hindus got their chance to punish him in 2002. When Gujarat exploded into communal violence that year, Prime Minister Vajpayee was outraged. Within a month of the atrocities he visited the state and said at a press conference that the king’s duty to uphold rajdharma had not been carried out. He decided to seek the resignation of the state’s chief minister when the national executive of the BJP met in Goa a few days later. The flight to Goa turned out to be one of the most historic in India’s aviation history. L K Advani and Arun Jaitley strongly opposed any action against the Gujarat chief minister. Vajpayee was further rattled when slogans were raised at the meeting in favour of the chief minister. Vajpayee had to forget his concept of rajdharma and watch his critics celebrating their triumph. For these extraneous reasons as well as for the vibrancy of his mind, Vajpayee’s place in history will be above that of all others in his party. He represented the ethos of the nation—spiritualism without zealotry, tolerance, liberalism. 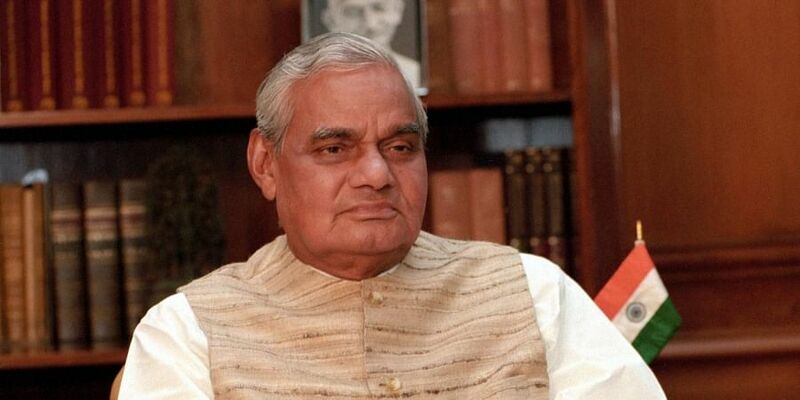 Such was the roundedness of Vajpayee’s make-up that we could stand up and say to all the world: This was a gentleman. And sing with him: It’s dark in the middle of the day / The sun is defeated by its shadow / Squeeze the oil from your soul and feed the wick / Come let’s light the lamp again. So a PM should work only for those who voted for him? What a primitive, uncharitable, and inhuman idea! By the way how can a voter be made to vote for a leader of a party that has guttural hatred for that voter? would you? Some misleading words were not needed, or is it an agenda? Well scripted analysis. Vajpai stood unique as he unequivocally condemned Godra much to the displeasure of RSS, which had lent crutches to Modi. The huge gap was visible when a senior custodian lamented for rajadharma, contrasting to the present custodian whose sadness expressed was shocking, as the latter likened the Godra victims to the puppies crushed under wheels.The column has exposed the writ of the organisation which had killed mahatma as supreme and non- dismissable, and pulls the strings of the government , who ever may be in the chair. The article tries to mislead under the cover of praising the former PM. Let Vajpayee's BJP return in national interest and unity of the country that has lived harmoniously for 72 years in Independent India.